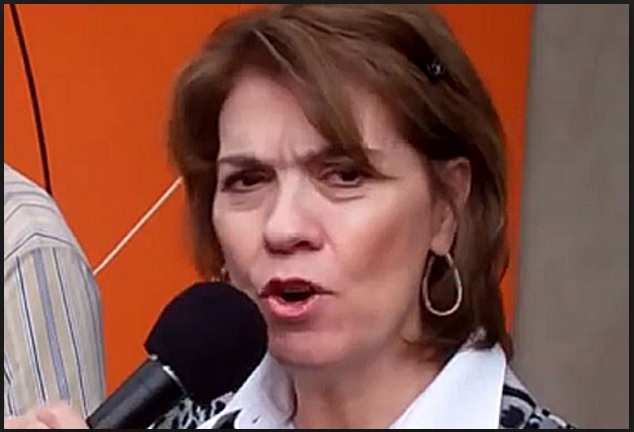 Mission America’s Linda Harvey notoriously urged parents last year to refuse care for their children from openly gay doctors and nurses, and today on her radio show told parents that they should consider removing their children from schools which have anti-bullying programs that affirm and protect LGBT students. 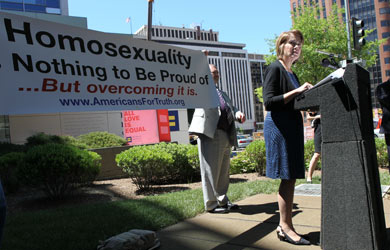 A consistent and rancorous opponent of such bullying-prevention efforts who wishes that school counselors can practice ex-gay therapy, Harvey repeated her claims that homosexuality is a lifestyle choice and not a sexual orientation and warned that schools are teaching “false and immoral” beliefs about homosexuality through anti-bullying programs. 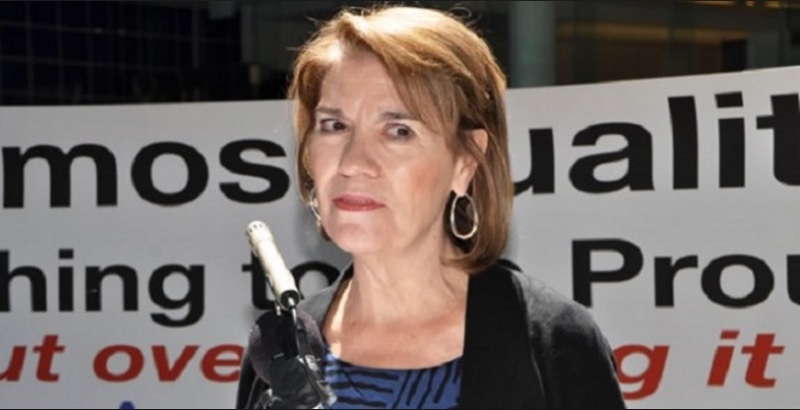 She insisted that if parents cannot have their children removed from classes that discuss the issue of anti-gay bullying then they might want to consider withdrawing their children from the school altogether. There are some blatantly false ideas being taught in our schools manipulating the very real concerns of kids and parents about bullying and harassment. Kids are learning to embrace the sexual orientation identify concept which holds that some people are born gay, lesbian or transgender or even bisexual and there’s no way out, now logically how can anyone be born bisexual, doesn’t the very idea of bisexual imply choice, which the gay agenda promoters deny? So parents, what can you do about such nonsense? First of all you can request copies of any upcoming school unit where kids might learn about homosexuality. This applies not just to public schools and Christian schools as well unfortunately because approval and respect for the homosexual lifestyle is creeping into Christian teaching a lot more than we would like. In particular, look at any lessons planned on preventing bullying, that’s where much of this agenda is packaged. If you find what I’m afraid you’re going to find here’s how it will go: there will be worthwhile sections about not being an uninvolved bystander in a bullying situation, about always contacting a trusted adult, but somewhere in the lesson plan many of these units will include a role playing scenario where students will be shown a video. Here’s where a subtle but unmistakable pro-homosexual message is usually communicated. Kids may learn that saying phrases like ‘that’s so gay’ or other slurs about homosexuality are wrong—and they are—but here’s the problem, there’s no allowance in these lessons that I’ve ever seen for kids to believe that homosexuality as a behavior is still wrong even if they don’t use insulting phrases to convey this. Our kids should learn to respect others and to be kind in their words and actions but they must not be taught the false concept that the identity of homosexuality is like race, that it is inborn in some people and that this is the reason for not using these insults. If the lessons remain unchanged, ask to have your child removed from that class and be sure to explain to your child that the lesson in question was confusing and inaccurate and you don’t want your son or daughter to learn material that is untrue. It’s also important if you can inform other parents as well, there is strength in numbers. If you encountered this situation, perhaps you should consider removing your child from this school. It’s my hope though that you won’t find this type of false and immoral teaching at your child’s school.